The maker and publisher of the most popular game ANGRY BIRDS Rovio is going to step down in 2015, Replaced by the none other than Nokia veteran Pekka Rantala who is serving Nokia by longtime. Mikael Hed, for more than five years he served Rovio as a CEO, As the decision will likely take a seat on the company’s Board of directors. Mikael Hed will also going to serve as chairman of Rovio animation Studios, and animated series. Mikael Hed has said in a statement released on Friday that “It has been an amazing ride”. In the upcoming year 2015 on the very first date that is on January 1, 2015 Pekka Rantala will take on the CEO Role. He had been serving as CEO of Finnish beverage company Hartwall. 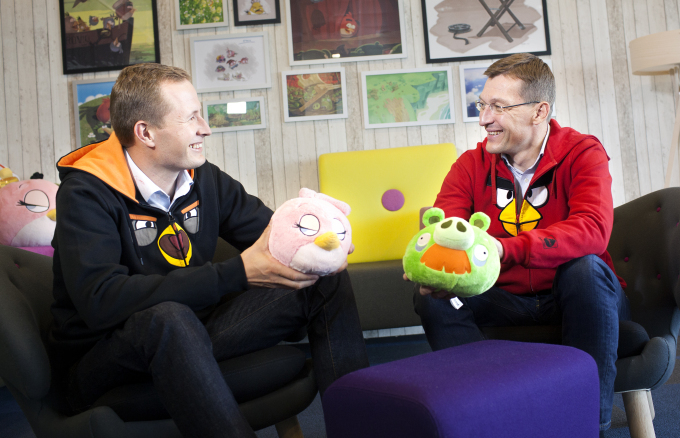 Mikael Hed said I will continue to play an active role and will suppot Pekka in any way I can ensure Rovio’s continued success. And Hed also said that Pekka is known to be a great leader with great Experience of building successful global consumer brands by longtime. Rovio raked in $207 million in revenue last year, up from $8.6 million four years ago. Angry Birds has a merchandising empire, from toys to a feature film launching in 2016.